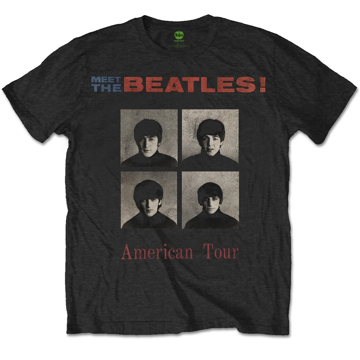 Black color classic style men's soft cotton tee featuring The Beatles 'American Tour 1964' Features back print detailing with tour dates and cities. Tag has used ticket image. 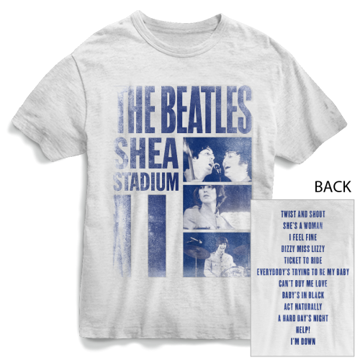 White color classic style men's 30/1 soft cotton tee featuring Shea photos and blue text. 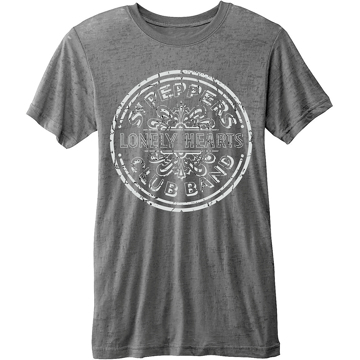 Set List on the back. 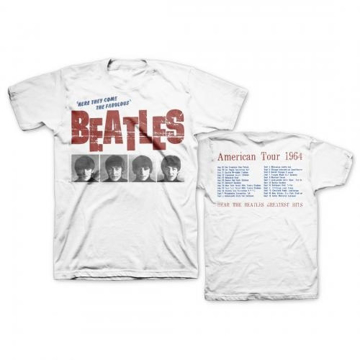 The Beatles 'American Tour 1964' detailing with tour dates and cities. 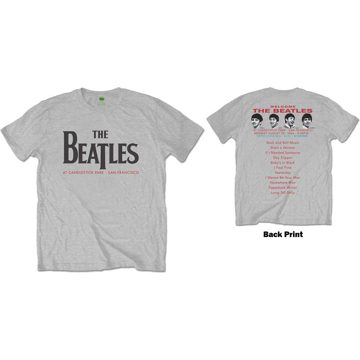 Candlestick Park 1966 Set List of song on the back with last of the mob top shots. 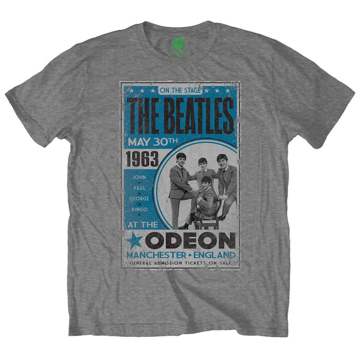 Men's fit soft-style cotton tee with crew neck with front & back printing. 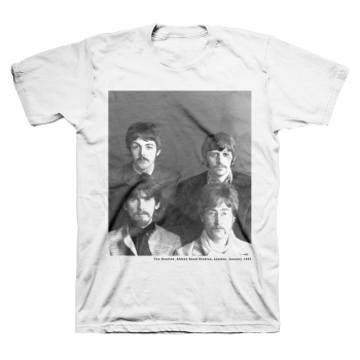 Classic Beatles photo taken at Abbey Road Studio (as noted on the shirt) all The Beatles are sporting a Mustache this white shirt is in 30/1 cotton. 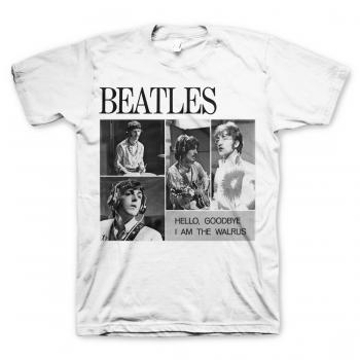 Hello Goodbye & I am the Walrus song titles written on the shirt photos taken later in the Era at Abbey Road studio this white shirt is in 30/1 cotton. Beatles Lava Lamp Sgt Pepper album cover design.